Despite dark and dreary partisan gridlock in Washington, DC, rays of light are emanating from within the Beltway and upon renewable energy projects in Indian Country. First, the Fiscal Cliff bill extended both the production and investment tax credits for renewable energy projects. Previously, these tax credits were only available for wind projects that were completed by 2012 and biomass, landfill gas, and waste-to-energy projects completed by the end of 2013. Thanks to the Fiscal Cliff bill, these credits have both been extended until the end of 2014. These incentives provide a credit against federal income tax liability for electricity produced by renewable energy projects. The amount of the credit is based on either (1) the number of kilowatt hours of electricity produced by the taxpayer and sold to an unrelated party in a given year (production tax credits) or (2) the expenditures made before the project is placed in service and for which the taxpayer has made an election to treat the expenditures as progress expenditures (investment tax credits). Together, these incentives can be leveraged to fund around 30% of a project's costs. The bill also extends both the Indian employment tax credit and the accelerated depreciation incentive. Both of these incentives help encourage renewable energy development and energy independence in Indian country by lowering the operating and development costs of these projects. The accelerated depreciation incentive allows Indian Country energy investors to use shorter recovery periods when calculating depreciation deductions for its production equipment. “Qualified Indian reservation property” must be used predominately in the active conduct of a trade or business on the Reservation and must be 3-, 5-, 7-, 10-, 15-, or 20-year property or non-residential real property. “Qualified infrastructure property” that is located off-reservation, but connected to qualified infrastructure within the reservation, is also eligible for shorter recovery periods. Power lines, water systems and telecommunication facilities are examples of qualified infrastructure property. Real property rented to others on an Indian reservation is also eligible for an accelerated depreciation schedule. Because the shorter recovery periods for qualified Indian and infrastructure property are in addition to the normal expense deduction of up to $100,000 for such assets, the depreciation tax savings to non-Indian manufacturers could also be significant. The bill reauthorizes the provision until 2014. A qualified employee must: (1) be an enrolled member of an Indian tribe or the spouse of a tribal member; (2) perform substantially all of his or her services for the business on the reservation; and, (3) reside on or near the reservation. Qualified wages are any wages the business pays or incurs for services performed by a qualified employee, including health insurance costs. The bill retroactively extended the program to December 31, 2013. In addition to the Fiscal Cliff bill, the IRS has recently issued a ruling that is highly favorable to Indian energy development partners looking to take advantage of tax credits. In IRS Ruling No. 201310001 the IRS determined that “an Indian tribal government is neither a governmental unit described in § 50(b)(4) nor an organization exempt from tax imposed by Chapter 1 for purposes of § 50” of the Internal Revenue Code. Although counterintuitive, this is a good thing. Because IRC § 50(b)(3) provides that no investment credit “shall be determined . . . with respect to any property used by an organization . . . which is exempt from the tax imposed,” entities wishing to invest in tribal energy projects were potentially ineligible for pass-through investment credits. This ruling, however, means that tribes may now “elect to pass investment credits associated with the Renewable Energy Assets” to non-Indian lessees. As discussed above, the ability to pass these investment credits onto non-Indian partners can be leveraged to fund a large piece of a project’s startup costs. In all, the days ahead for tribal green energy development projects just got a bit brighter. Ryan Dreveskracht is an Associate at Galanda Broadman, PLLC. His practice focuses on representing businesses and tribal governments in public affairs, energy, gaming, taxation, and general economic development. His recent publication in the Energy Law Journal, "Alternative Energy in American Indian Country: Catering to Both Sides of the Coin," is available here. He can be reached at 206.909.3842 or ryan @galandabroadman.com. 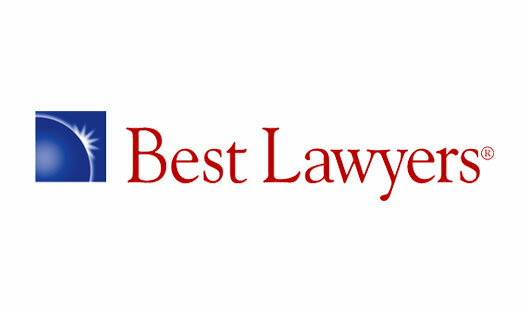 Newer PostGalanda Broadman Named "Gaming Law Firm of the Year in Washington"